The online version of the original article can be found at http://dx.doi.org/10.1007/s40614-014-0016-z. 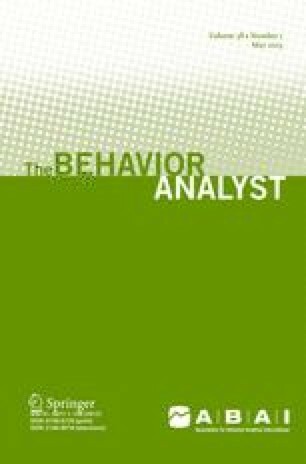 The original version of the article indicated that the papers in the special section grew out of a panel discussion at the 2014 meeting of the Association for Behavior Analysis, International. The panel discussion actually took place at the 2013 meeting.